With average field size in Sunday's Pick Six averaging just over 10 runners per race, Santa Anita's two dollar Pick Six proved unhittable, resulting in a carryover into Thursday of $92,218. With three days off and fresh money expected, Thursday's total Pick Six pool is expected to approach $500,000. 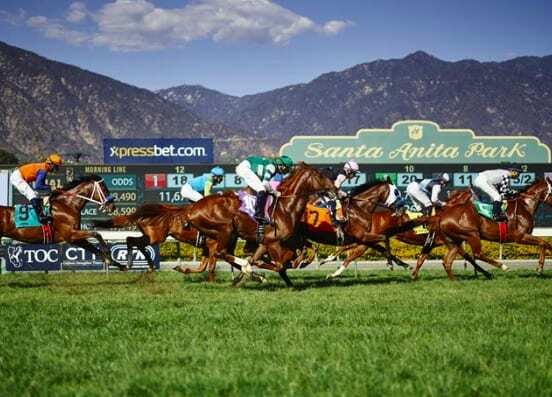 Additionally, for the eighth consecutive racing day, Santa Anita's Single Ticket Pick Six Jackpot again proved elusive resulting in a separate Jackpot carryover of $213,717 heading into Thursday. With an eight-race card on tap Thursday, the Pick Six will encompass races three through eight. A total of 59 horses, 57 of which are eligible to run, have been entered in Thursday's Pick Six, making for average field size of 9.5 runners per race. First post time Thursday is at 1 p.m. and approximate post time for race three is at 2 p.m. PT. Admission gates will open at 11 a.m. Note: Santa Anita is now offering free parking and admission for dark day simulcast wagering each Wednesday on tracks across North America. Admission gates open each Wednesday at 10 a.m.
For more information, please visit www.santaanita.com. This entry was posted in Horseplayers and tagged carryover, pick six, pick six carryover, pool size, santa anita, santa anita park by Mike Willman/Santa Anita. Bookmark the permalink.